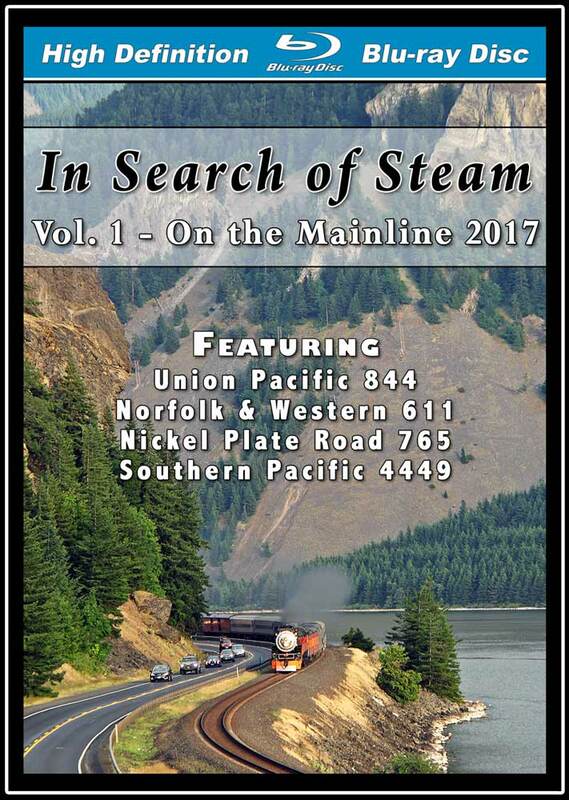 2017 was a good year for mainline steam, and we traveled across the country "In Search of Steam" in order to film four of the biggest locomotives operating today. Our first stop was Ogden, UT in late April, where Union Pacific 4-8-4 #844 was being readied for a 2-day trip across Wyoming. This was the end of the "Boise Turn Special" and you'll see the Ogden to Rock Springs leg on April 27th, followed by Rock Springs to Cheyenne on the 28th. #844 put on a great show as she headed home amidst cold, windy, and wet weather. Next we traveled to Roanoke, VA in late May to see Norfolk & Western #611. The streamlined 4-8-4 pulled her last excursions of the year on Memorial Day (May 29): 2 half-day trips over the legendary Christiansburg Mountain grade. This footage is also included on N&W 611 - Reborn Vol. 5. Then we're off to Chicago in mid-June to ride and chase Nickel Plate Road 2-8-4 #765 on the "Joliet Rocket" excursions. #765 ran 4 half-day trips from Joliet to Chicago's LaSalle Street Station during the Father's Day weekend (June 17-18), with some high speed running on Metra's Rock Island Line. 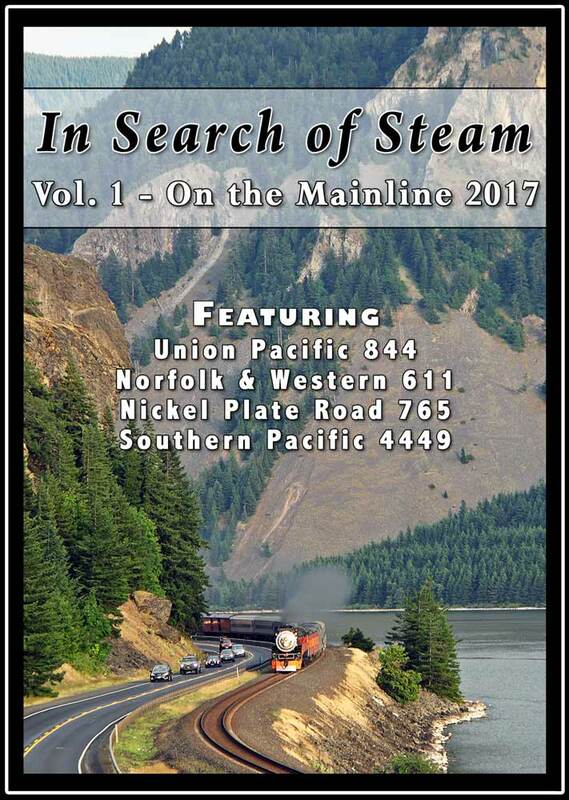 Our last stop is Portland, OR at the end of June, as Southern Pacific 4-8-4 #4449 gets ready to pull her first mainline excursion in almost 5 years: a 2-day trip to Bend, OR and back. On Saturday June 24th the 'Daylight' raced up the Columbia River Gorge, before traversing the wild and scenic Deschutes River Canyon on the way to Bend. The next day #4449 returned to Portland and you'll see many of scenic highlights of the route, plus more fast running on the former SP&S mainline along the Columbia River. Filmed entirely in HD, this video showcases four of the most iconic locomotives in the US, and features lots of high-speed running and great stack talk. This program has minimal narration (with the option to turn it on or off) and no distracting music. chris collins (fletcher north carolina) on 2018-07-23 18:35:19.